Mission Models US – The Real Game Changer. Acrylic paints are the acknowledged and most widely used paints on the scale modeling market nowadays. Although there are still some users that tend to complain about acrylics, this is the future and there is no arguing about it. They are /mostly/ odorless, less threatening your health, easy to work with, more forgiving and available almost everywhere. Now since I have tested most of the bigger brands on the market, as everybody, I formed an opinion of my own. However, most of the modelers I know tend to complain about one or another brand, strictly avoiding them, swearing to the products they are using, considering them irreplaceable. This cannot be true about anything in the modern and dynamic world we are living. 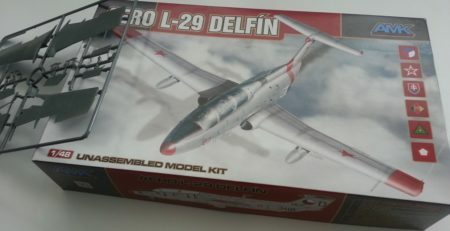 There isn’t a brand that makes scale models that produced solely 100% successful toolings, nor there is such company, that is famous only with their lousy models, never to have issued a good kit respected years after release. Acrylics paint brands are the same in general. You might hear a modeler complain about some company that clogged the airbrush, or changed color or what not. The truth is, that every company has three types of products: their best, their decent and their not-so-much. There might be color discrepancies, or some paints being thicker than others – or requiring attention before spraying. But this does not mean that their product is unsuccessful. So that being said, I try to utilize everything that I work with and in all my honesty, I try to work with most of the stuff on the market. Actually, years have passed before we witnessed a radical change on the market. 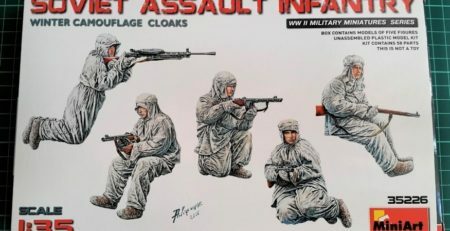 We had Vallejo mania at some point, which grew into AK Interactive and AMMO by MIG – three brands with their differences, but overall very close in what they do have to offer. We witnessed interesting sets appearing, oriented towards specific model. 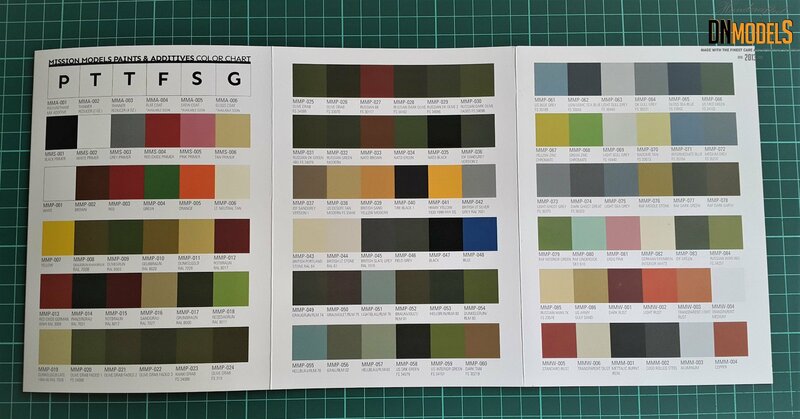 Let’s say – color set for Panzers or color set for WWII RAF planes. But now, for the first time in years, we are witnessing a new product, which is different from the rest, featuring altered qualities and requiring a new approach. People don’t like change, I know, however I also know that change is inevitable and almost always is for the best. I heard about Mission Models US couple of times, from various sources, two of them being my favorite modelers, who’s blogs I follow with interest. What made an impression in this particular case was the fact that there was no complains about Mission Models and their product. There was also the fact that the paints are organic, with no additives. That, combined with the fact that I experienced some troubles after long spray sessions lately, made me wonder, is that really something new, or it is a good ol’ stuff re-bottled in some form and sold over and over again. The troubles that I experienced was irritating throat feeling, whatever the paint I was using. No matter is it MIG or Gunze or Tamiya. After 20 or more minutes of airbrushing, I felt like I was few minutes after I took a shot of tequila and my throat and downwards were having that un-friendly experience. Even if I used mask, sprayed in ventilated area and what not. And I have that feeling for almost 18 months now. So either I had to find something new, or alter my paint sessions in terms of adding protective equipment and eventually shorten them drastically. 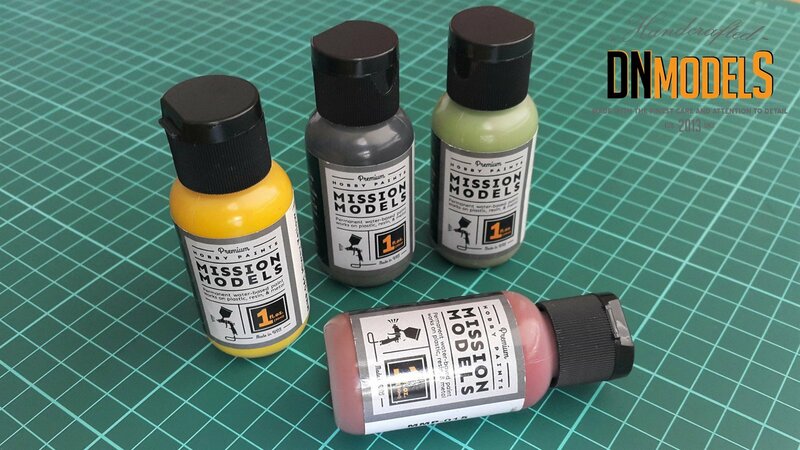 1 oz is the standard content per bottle that Mission Models designed. There is a dropper, which is embedded in the cap that screws in tightly. 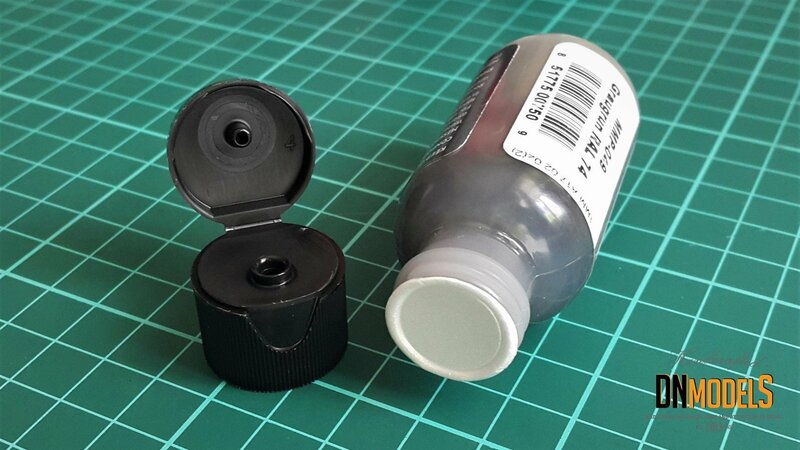 The first time you open it, you will note that the bottle itself is sealed beneath that plastic cap/dropper. It looks like you just bought a medicine in liquid form, not a hobby supplement. Very professional in my personal opinion! 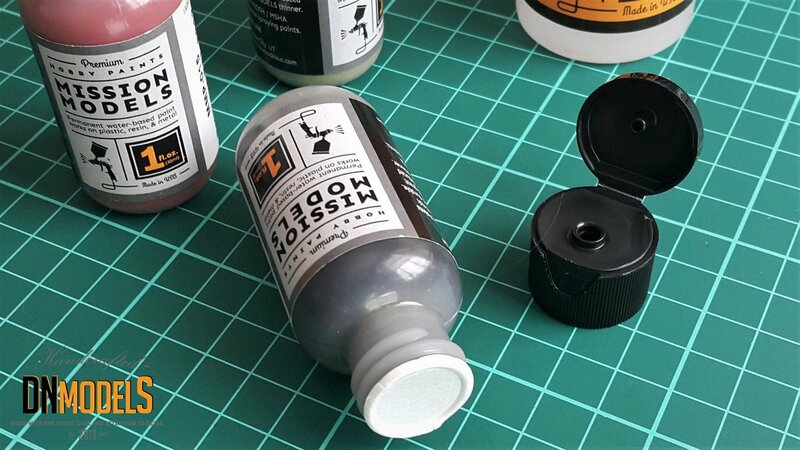 The label features info about the quantity of the paint, as well as information that the paint works on plastic, resin and metal. There is a spray gun painting, which is self-explanatory. On the other side of the label there is short info about the paint, as well as the address of the manufacturer. 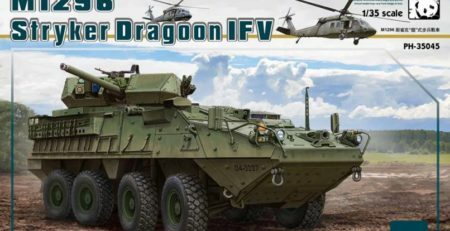 Mission Models are a company from USA and the products are being produced there. Lately, we’ve seen fewer and fewer products that haven’t been made in China. For some it might not be important, but I trust that Made in USA stands for something. Inside of the plastic bottle, you can hear a rattling ball, which lately some other companies added to their line. Older modelers know that this was done before with fishing weights for whatever paints you might’ve been using. Sometimes I even added balls to Tamiya paints and decent quantity of IPA to squeeze few drops of decent paint out of the jar. With Mission Models bottles, this comes as a courtesy from the company. Just my point mentioned above: Made in U.S.A.
Mission Models thinner is a two in one solution. It serves as a cleaner too. You can spray it through your airbrush with higher pressure and it will clean your gun properly. Of course, distilled water can be used to thin the paints, however it is not the best option. 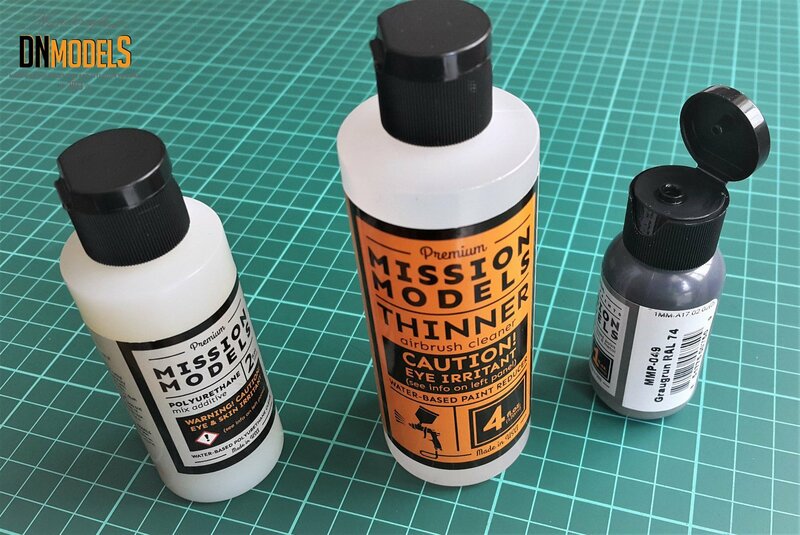 Since thinner is suitable for soaking your airbrush parts in, if you can allow yourself to buy additional bottle, using solely this is your first and best option. It is what Mission Models recommends and what guarantees proper results. What polyurethane additive is, is first and most importantly –optional. This is an add-on for slightly altering the final appearance of the paint, improving the grip of the paint to the surface and improving the overall strength of the medium. It also serves as a retarder and Mission Models even advise that it can be used as a clear coat. But that latter one is only for experienced modelers and it is simply an alternative to the well know methods out there. Colors, especially with the RLMs is vital for the appearance. Modelers are very picky when it comes down to Luftwaffe. There are numerous arguments with endless threads in the forums about those. Here we have a decent amount of colors, which in my personal opinion look very natural and very accurate. German armor colors too. Mission Models options looks just right, which is tempting. Of course, everyone’s eye is perceiving the colors differently so nobody can be exact on that subject. But I like them and from what I’ve read about Mission Models before my tests – other modelers think alike. The finish is smooth and most importantly – equal on the surface. This probably is caused by the paint qualities. Elasticity is one of the highs of Mission Models’ paints and that guarantees longevity as well. Especially with resin, where with time shrinking can be seen. Same goes for the movable parts, which are almost mandatory for the modern scale models. Different mediums and all kinds of similar situations, where temperatures are being absorbed differently and sometimes that causes troubles can be an issue too. Even cracks on the seam lines where filler is present. All this is hidden safely behind a paint with good elasticity and durability. You can get a bottle for $5.75 and this is what we get as a price from Mission Models US own website. This is 1 oz Acrylic paint, and if it seems costly to you is only because you haven’t personally seen how little is needed to cover a substantial surface. The fact that the paint is almost impossible to be spilled and it is precisely dosed, adds to the formula here. Vallejo were the ones who have shown similar concept and that improved the shelf life of they paints tremendously. The case is the same here, although the paint is more thick in appearance, and you use little less due to that fact. 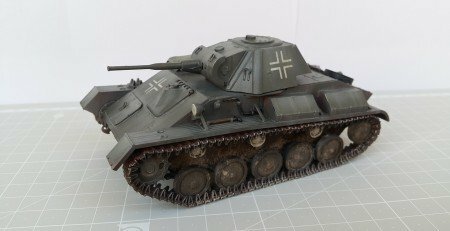 You might spend less on Tamiya or Gunze, but they do cause troubles when you get near the bottom of the jar, not to mention how much accidents spilling paint happens due to the caps that often need tools to open them. Remember the jar openers made from plastic for those paints? 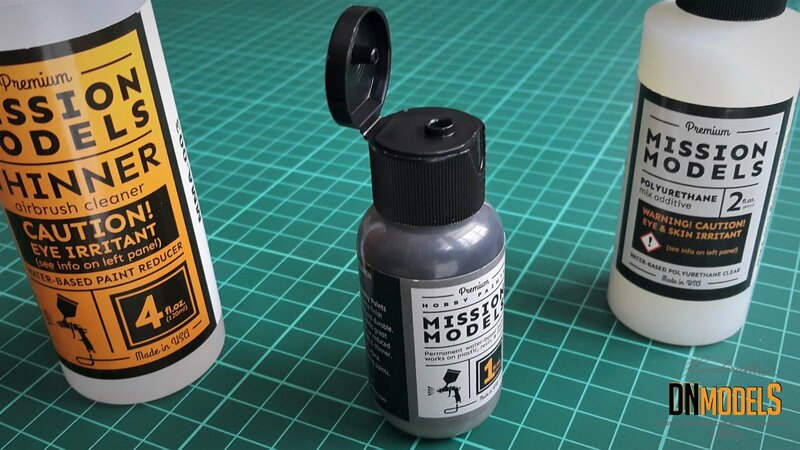 The only product on the market that comes with a thorough instruction how-to thin and spray it, are Mission Models’ paints. No other brand took that very important step in explaining to the user what to do and what not to. They don’t stop there too. Mission Models US do include information about what practices you must avoid at every cost while working with their products. Those preventive steps are vital, especially when testing out a new product, something that needs your attention when you start using it. 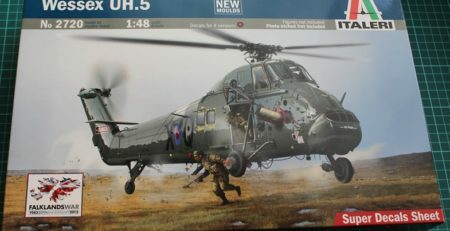 That does not mean that Mission Models are something that requires you to change your whole idea of painting your models. Just alter your perception a bit. And this tiny turn from the path well known is exactly what was missing from the modeling scene for years. Mission Models provided superior product, at affordable price and one that quickly gains glory and fame. There are hardly any negative reviews on the internet. None of them bears signs of doubtful thoughts or conclusions. And this one won’t either. 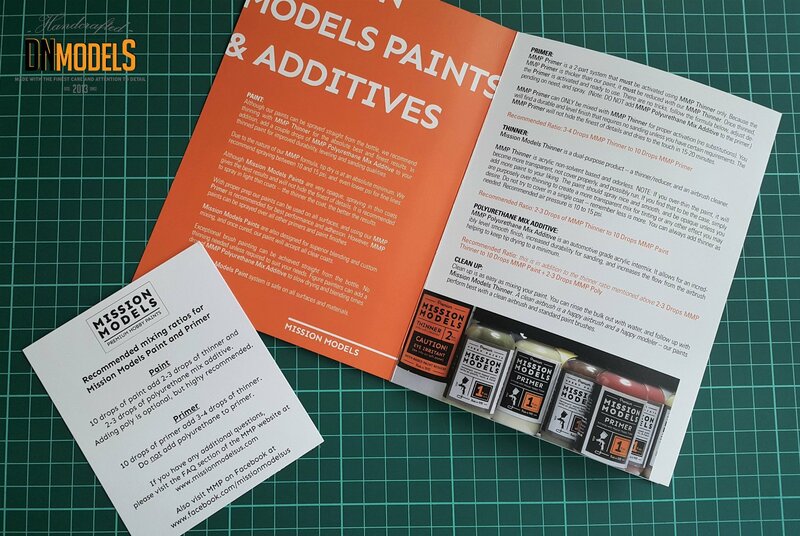 Mission Models paints are revolutionary products, which deserve your attention. 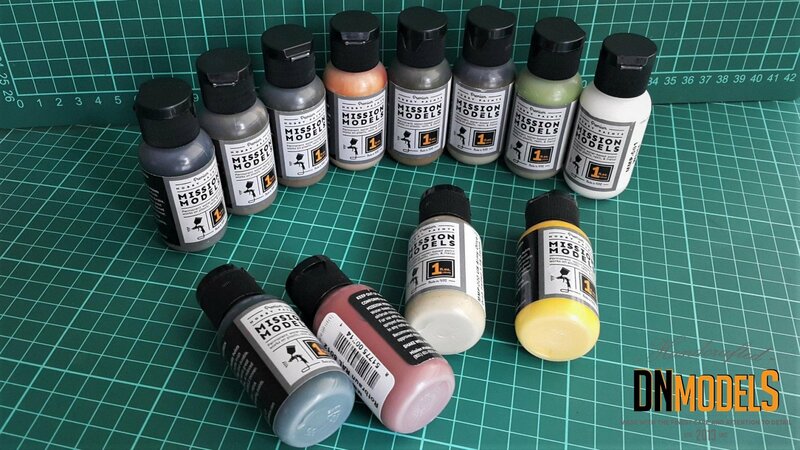 They are warmly welcomed and even if your paint rack is 110% full, it is still worth to get the Thinner, Additive and couple of colors for try-outs. It won’t take more than a day and it won’t cost much either. 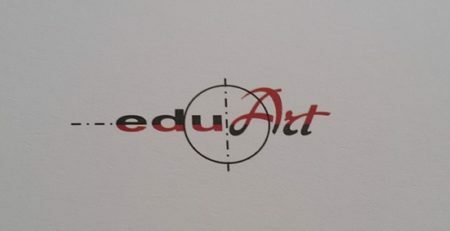 It will change your understanding for painting and elevate your requirements towards the competition. And you won’t regret it. 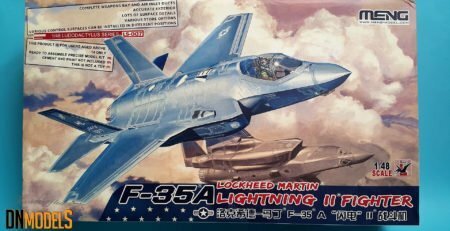 Meng Model F-35A Lightning II in 48th scale. 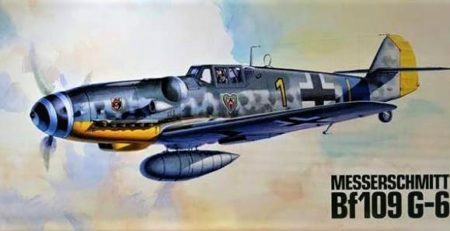 Tamiya Bf109G-6 is coming! Quarter scale.